We decided to go by bus as this is the cheaper option. 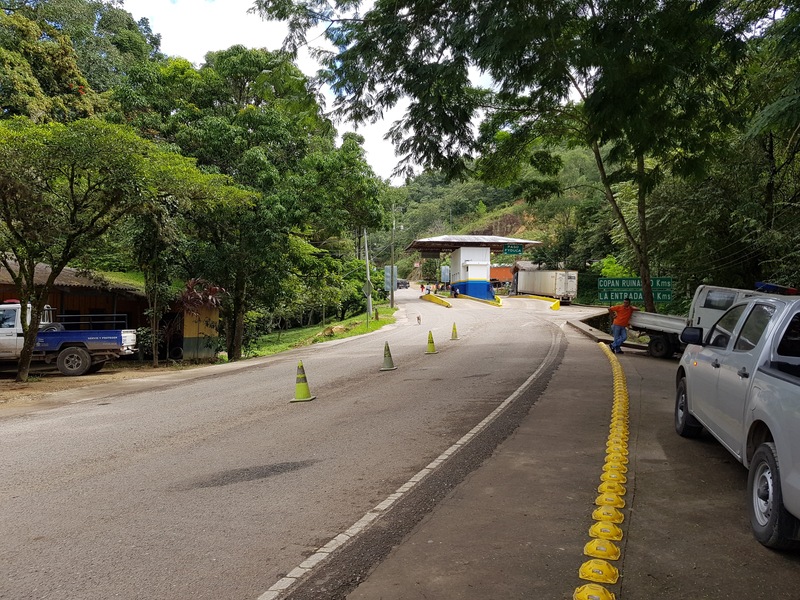 It took 5.5hrs and we had to stop at the Guatemalan border and walk across to the Honduran side, while the bus drove through to wait for us. We got off the bus in Guatemala and had to exit through border control where they stamped our passports. 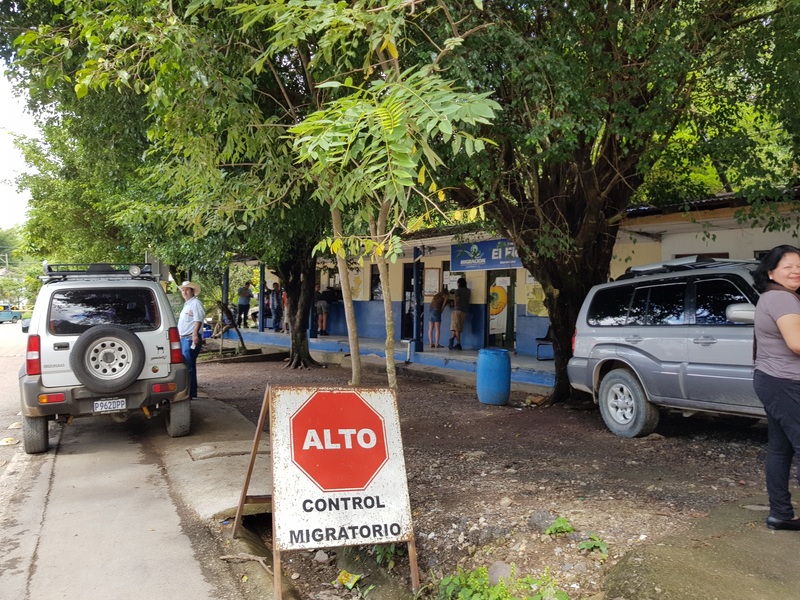 We had been told that there was a fee to leave Guatemala but there isn’t, there was one to go into Honduras that we had to pay though. After getting our passports stamped, we walked across to the Honduran entry office and waited in line for our turn to pay our fee and get our stamps. The fee we paid was $60 Quetzals (approx. $10 NZD so not too bad), and that was for the two of us. I’ve never crossed a border like that before so it was an interesting experience! Definitely something I will remember! The border is also a good place to exchange money. We thought it would be a rip off but the rates they charge are cheaper than getting money out from an ATM, which we found out on our way back! 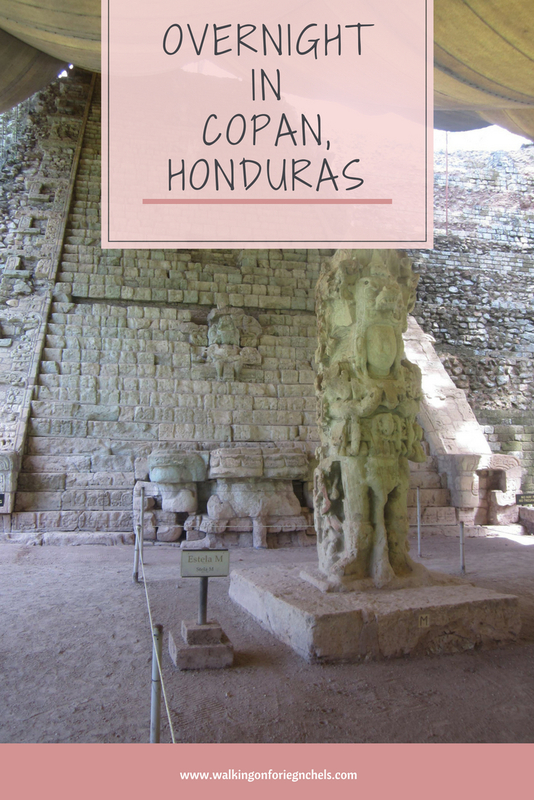 We didn’t take the opportunity on the way to Copan as we were a little weary of being scammed. We arrived at the bus stop in Copan around 11am and found a tuk tuk driver waiting by the door who offered to take us into town. We piled in with someone else and zoomed into town. Before heading to the ruins, we decided to check into our hotel and drop our bags off. Our tuk tuk driver offered to come back in an hour to pick us and take us back to the ruins, even saying we could pay him at the end of the day. Our driver even organised an English speaking guide for us at the site. He was an official guide and the price was reasonable (according to the research we had done) so it actually worked out well for us. 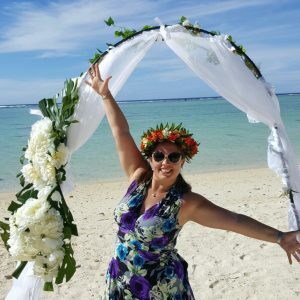 Tip: If you hire a guide, make sure they are an official guide. They’re easily recognizable by the ID tags they wear around their necks. 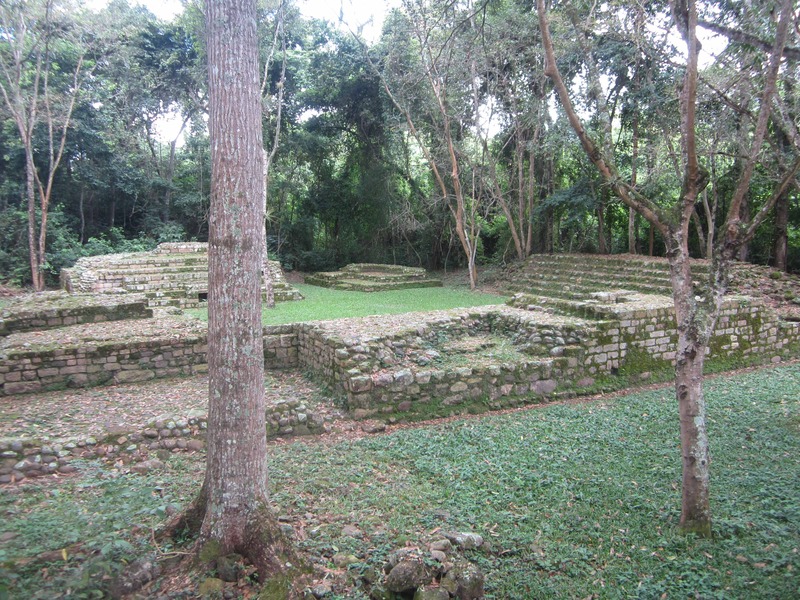 The site of Copan is a lot smaller than Tikal, but is super impressive in its own right. 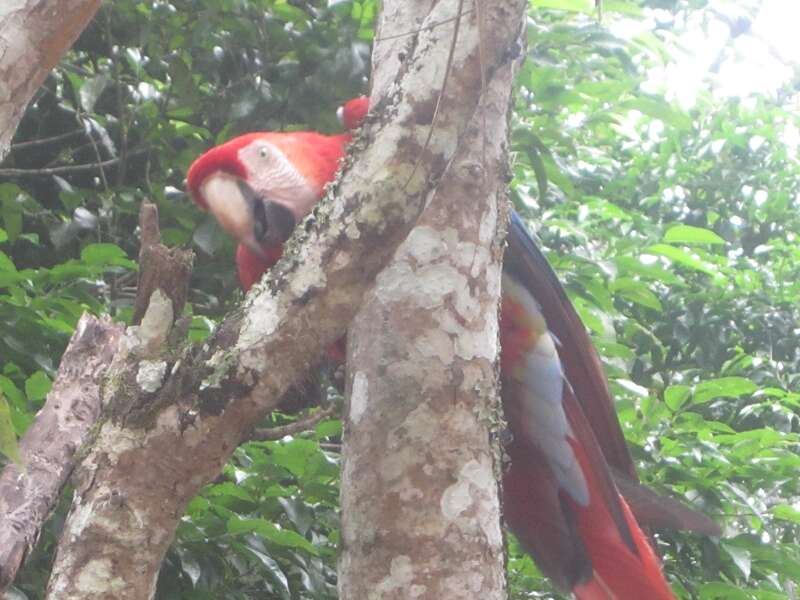 It also sits inside a protected forest area which is home to a number of endangered scarlet macaws (Guacamaya Roja). 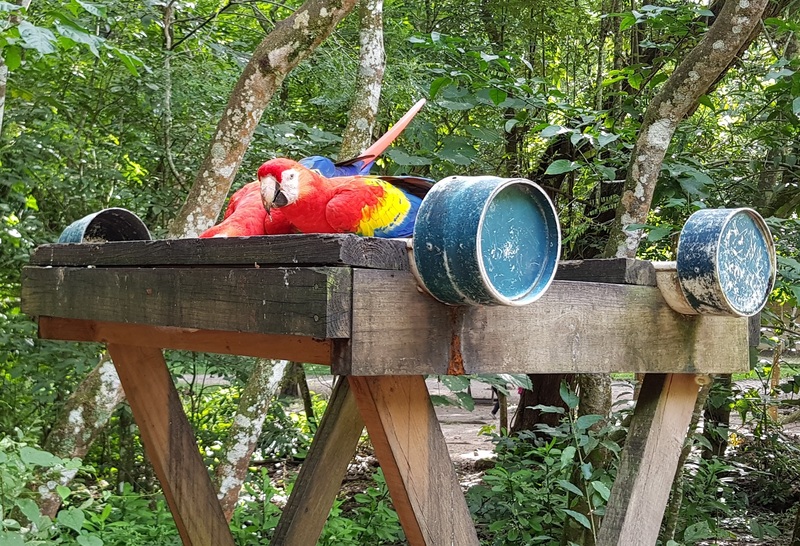 They have feeding stations set up all around the entrance to the main site and you can easily see the birds flying low through the trees to reach the feeding stations. We had fun sitting under the trees and watching them fly about but they’re super loud and don’t make the most pleasant noise! 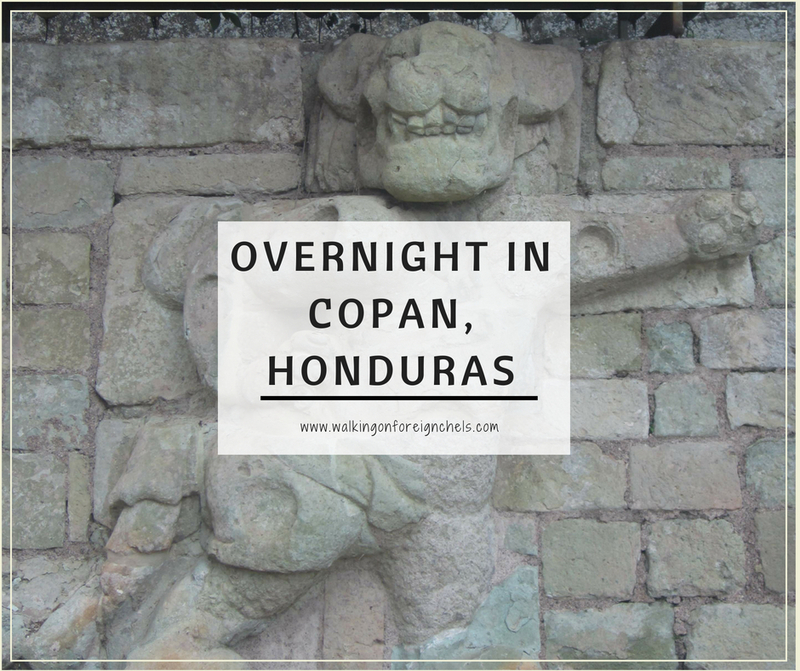 Copan is a Mayan site at the southern most border in Mesoamerica and was the capital city of a major kingdom from the 5th – 9th centuries AD, with a population of approx. 20,000 people. It is a UNESCO World Heritage site and houses the super impressive hieroglyphic staircase which is covered by a tent to protect it from the elements. It’s still easy to view though and the tent provides some welcome shade from the hot sun. 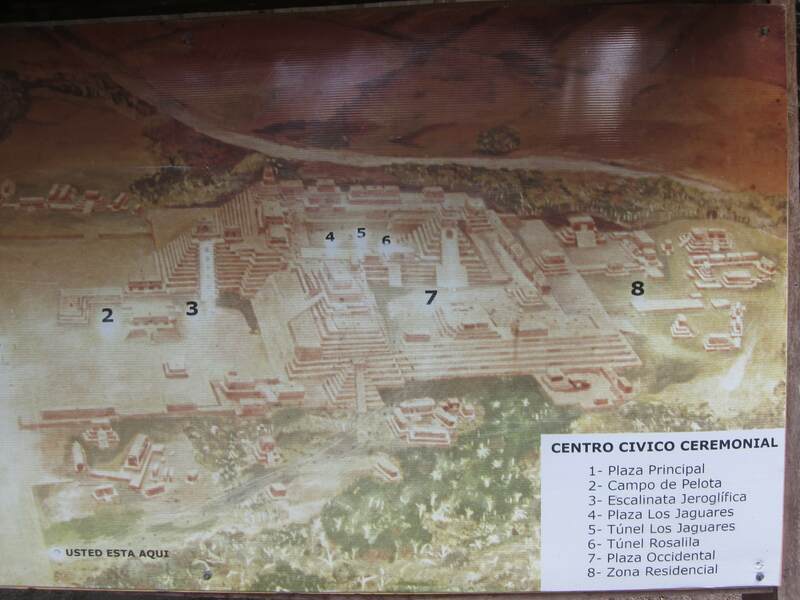 The main complex consists of the great plaza, the ball court, the stairway, the tunnels and the acropolis. 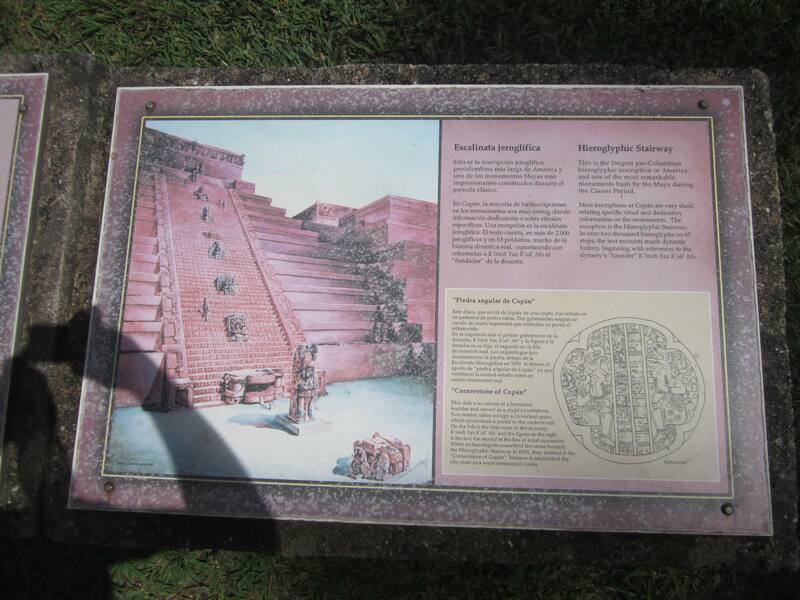 When you first enter the site, you will walk straight into the great plaza where you can see the many stelae and altars scattered around the lawns. 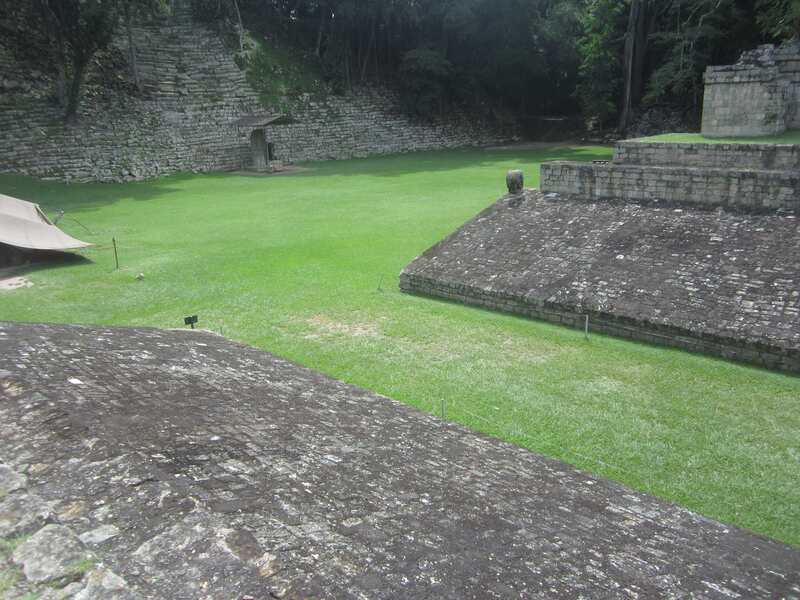 To the right is the ball court, adorned with stone macaw heads instead of rings like many other ball courts. You can still see the “changing” rooms, where the ball players would have prepared for the game ahead. The hieroglyphic stairway has been restored by archaeologists, however, not correctly and they remain in the incorrect order to this day! Unfortunately, some pieces are broken or missing but you can still get a pretty good idea of what it would have looked like 1400 years ago. It most likely would have been painted in bright colours as well, making it even more impressive; sadly only remnants of the paint survives today. 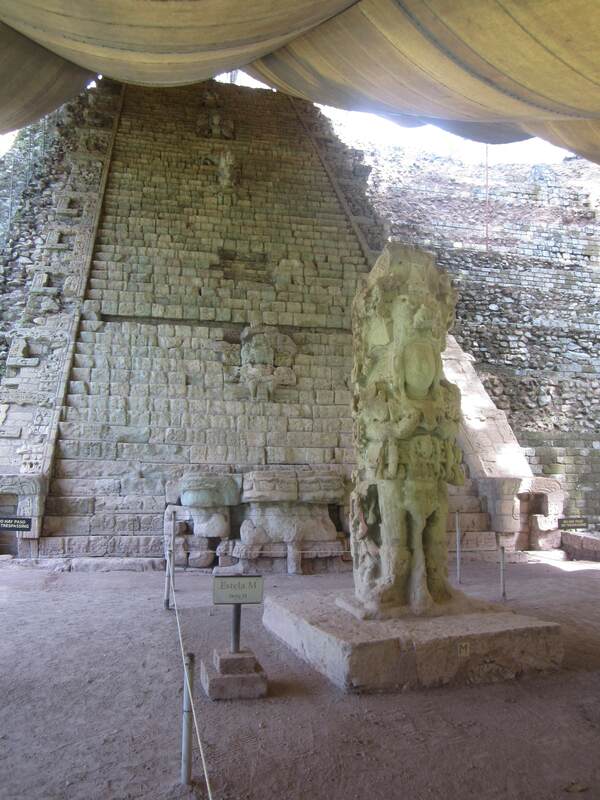 The staircase features large sculpted figures (probably of past rulers), which are located in the center of every 12th step with a large stelae and altar at the base of the steps. Each step also has hieroglyphs along the front edge, totaling 2200 glyphs which are still being deciphered. 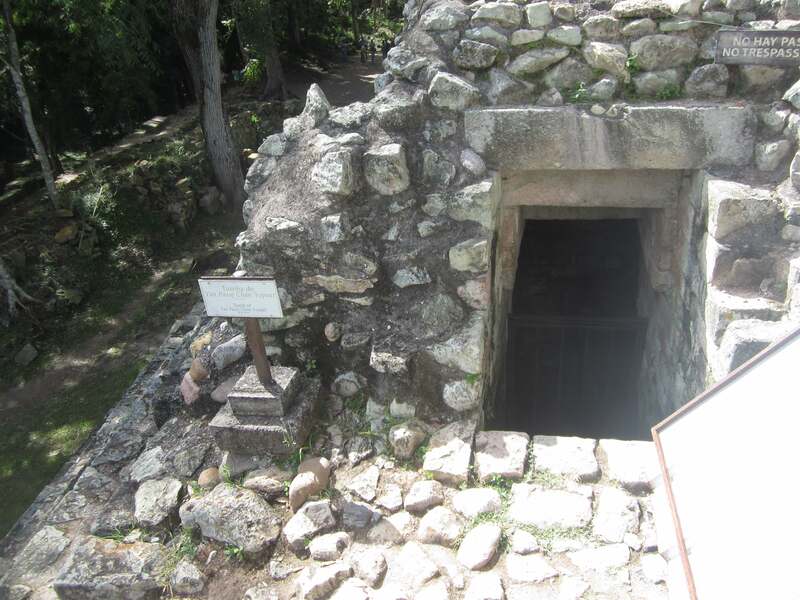 There are tunnels under two of the pyramids which you’re able to go into. They are super humid though, so be prepared to sweat bucket loads while you’re in there! Make sure you go into the tunnels as it’s not a common occurrence at most sites anymore. I’ve heard people say they’re not worth it as they’re not original, they were built by archaeologists in the 1960’s but personally, I disagree! I would love to be an archaeologist, so getting to see what they saw for the first time (don’t forget it was my first time!) is pretty amazing. Inside one of the tunnels we got to see the remains of the Rosalila temple, which is built over 5 previous temples and is under the final version of the temple. Because it was built over, it has been well preserved and we were told that when it was found the colours were still super vibrant. Unfortunately, the colour has faded now though as it was open to the public and the many years of carbon dioxide, sweat and touching has caused some damage. There is a sculptures museum on site at the ruins, we didn’t look through this as we ran out of time, but there is a life size recreation of the Rosalila temple. I’m a little gutted we didn’t get to check this out as it would have been pretty amazing, but we did see the actual temple. 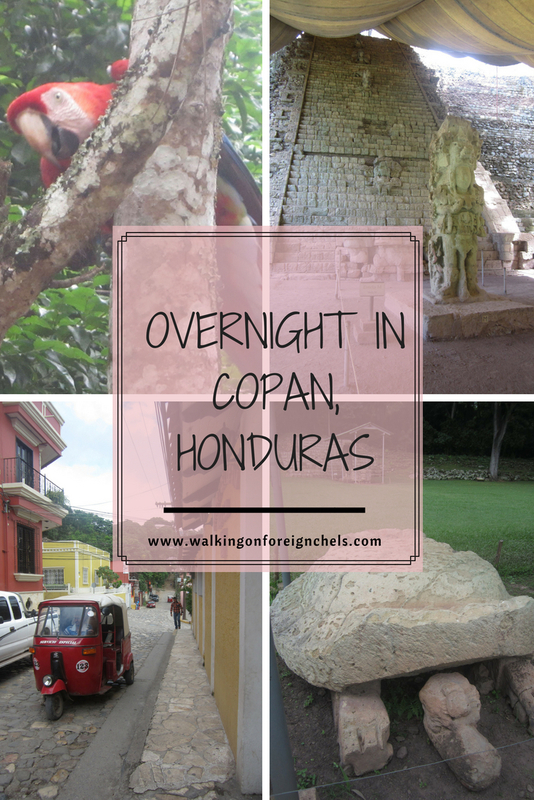 Copan is a super cute little Spanish colonial town, with a large central plaza and narrow cobbled lanes spidering outwards from it. The town is safe at night and there was no point where we felt we needed to be careful. The main square seems to come alive at night, there were market stalls all around the edges of the square, music playing and people everywhere. 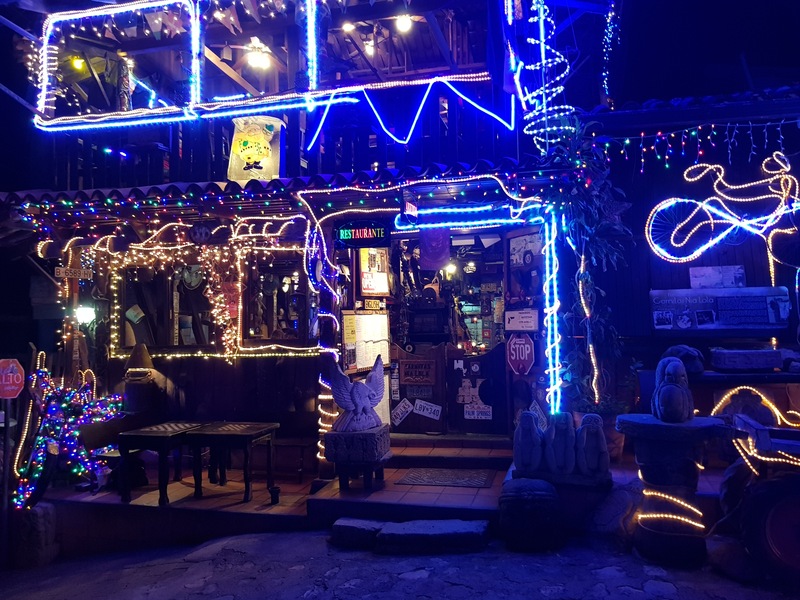 We found a restaurant almost completely covered in lights called Carnitas Nia Lola. They had cheap cocktails (and I may have had a few too many mojitos!) and the food was reasonably priced and it tasted ok. It wasn’t the best place we’ve eaten but the decor was something else, so it was definitely an interesting meal! After dinner, we headed back to the square and found the museum. It’s only a small local museum, but it’s open til late (1pm – 9pm) and it’s central so it’s easy to reach. They have a good little collection of things from the ruins so I definitely recommend you check it out! A few of the items in the collection are the actual pieces from the ruins and replicas have been put in their place. This helps to preserve and protect the stone. 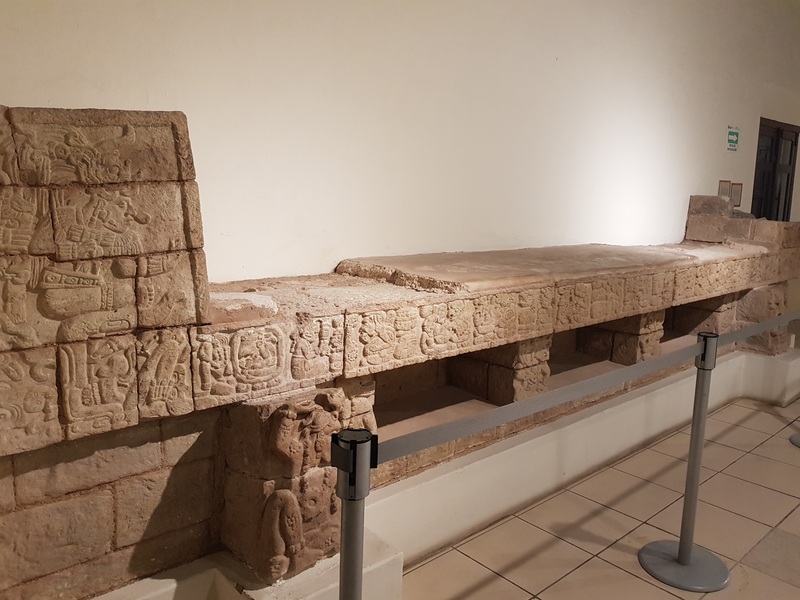 The bench in the photo below, is from one of the residences at Las Sepulturas. 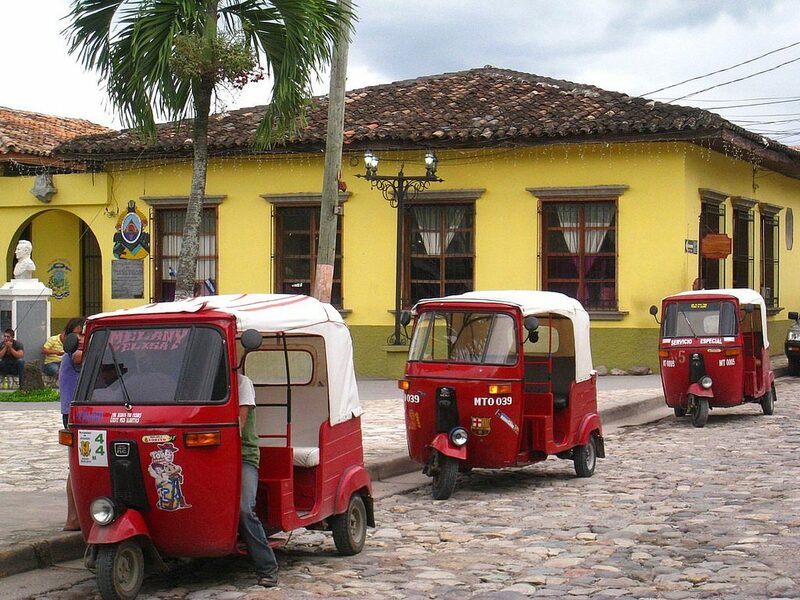 We met up with our trusty tuk tuk driver again after we’d had some breakfast, and he took us out to check out the Las Sepulturas site, before taking us back to town to explore and finally, to the bus stop. We found out about the Las Sepulturas while we were at the ruins the day before; somehow we’d missed it while we were researching Copan. It is located approx. 2km away and was, at one point, connected by a sacbe (Mayan road).Many artisans would have lived and worked in this residential area and is the only such site open to the public in the Mayan region. I highly recommend you take a couple of hours to check it out! We spent a few hours wandering through the ruined elite residences that would have been occupied by noblemen. It is hard to tell exactly what each building would have been used for as there is limited information but Shane and I had a lot of fun trying to guess what would have been there. 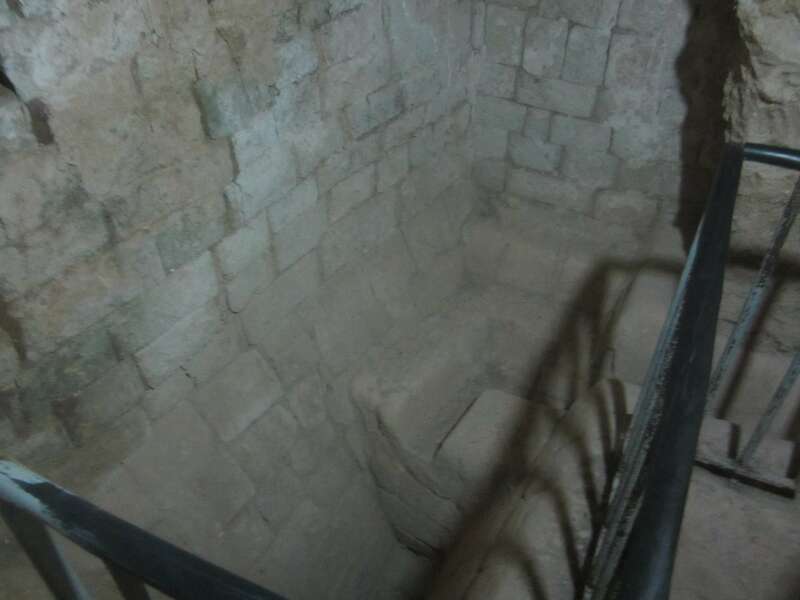 There are some really well-preserved bench carvings and stucco floors that are worth looking at, and we were told while we were there, that some tombs were found during excavation which you can see as well (not too exciting, as it’s just the hole in the ground now). 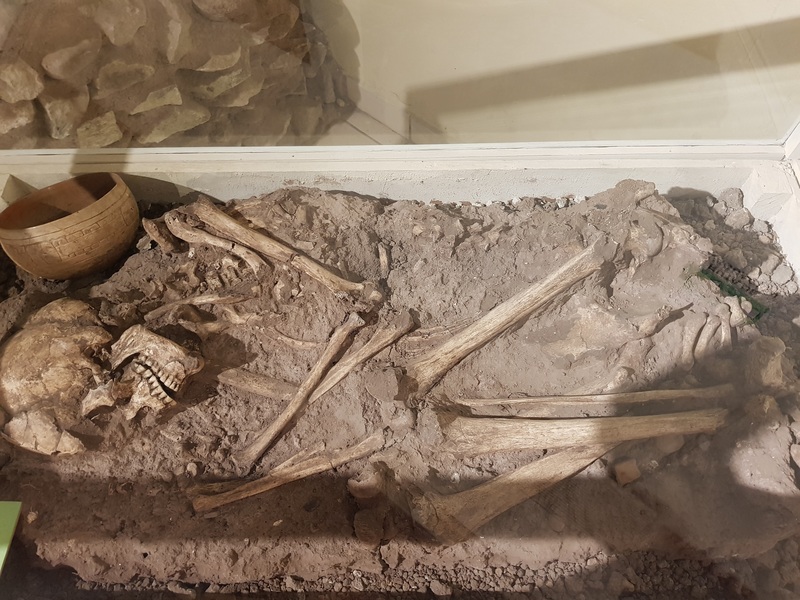 We thought seeing both sites was a great way to see the way the different classes live (within the elite classes anyway – commoners had mud huts on the outskirts of town) and how similar and different they are to one another. 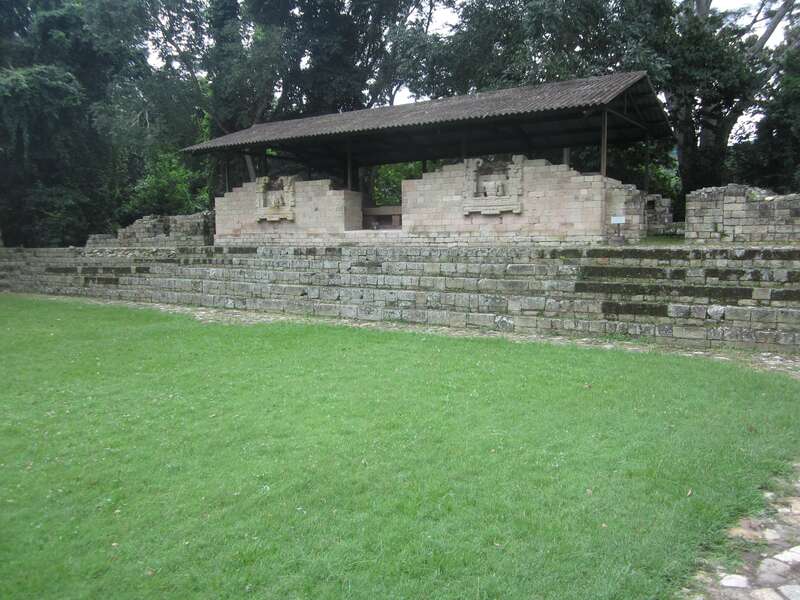 The houses at Las Sepulturas have a similar layout, with buildings built around a central plaza and there were several of these plaza’s throughout the site; each plaza would have some kind of altar or temple that would be used for private religious ceremonies. After only one night, we had to get back on a bus to head back to Guatemala City. It was supposed to take 5hrs, it took nearly 9hrs to get back!! The bus kept breaking down along the way and would often stall to a stop on the hills – there were a load of hills! We’d get going and then move a few metres before stalling out again and when we were moving it was at like 5km/hr! It was completely ridiculous and we were worried when we arrived that we wouldn’t have a ride as our hotel was supposed to pick us up at 8pm but, thankfully, he was there waiting for us and had been for the previous 3hrs!! Unfortunately, this was our last night in Guatemala City. The next day we would be heading back to Mexico City but before we flew out we decided to check out the Museo Nacional de Arqueología y Etnología (National Musuem of Archaeology and Enthnology). 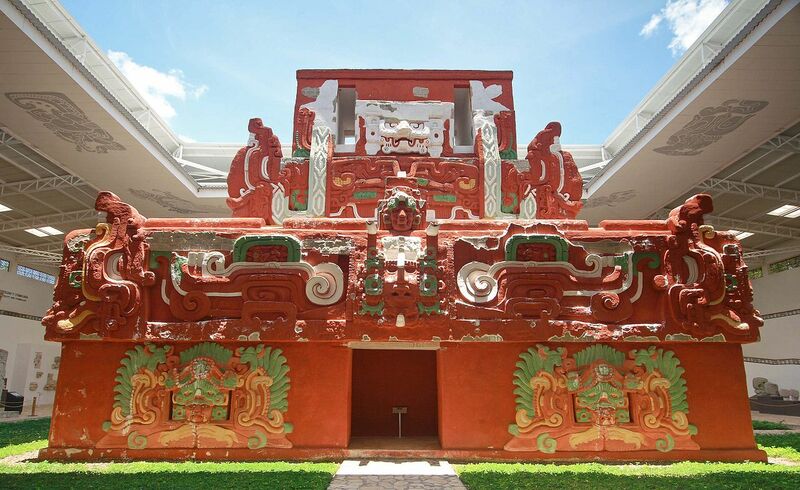 It was a great museum with a large collection of Mayan artifacts from around the area. 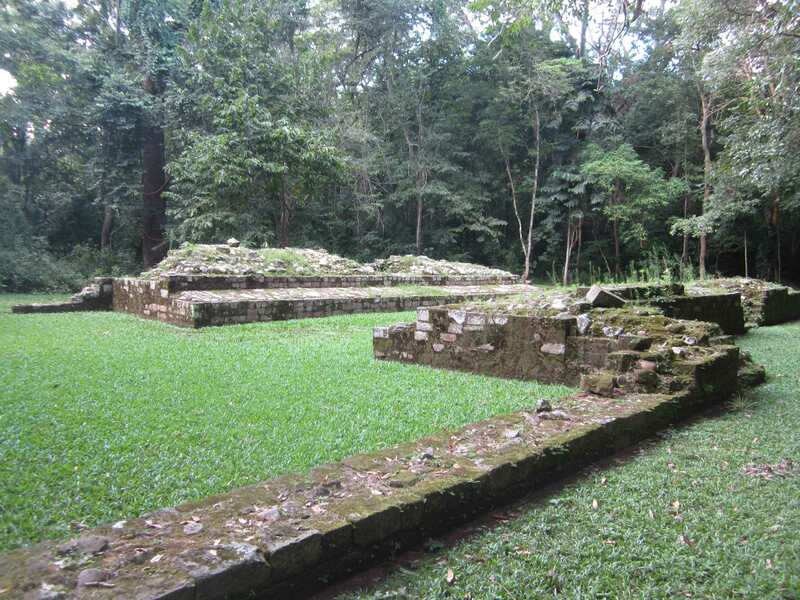 It has one area completely dedicated to Kaminaljuyú, a Mayan site that the city of Guatemala is actually built on top of. 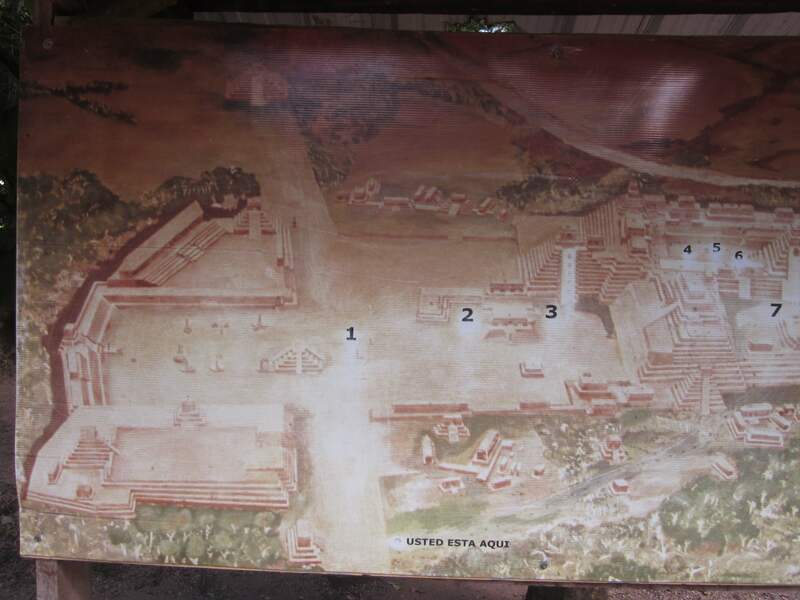 I believe there are no physical remains like buildings but I think there are some sites you can visit that were once plaza’s and temples. It’s a really excellent collection and Shane and I learned a lot from it. There is also a room dedicated to the way of life of the indigenous people from cooking, to clothing, to farming. We spent very little time in this room as our time in the museum was limited so we wanted to concentrate on the artifacts.